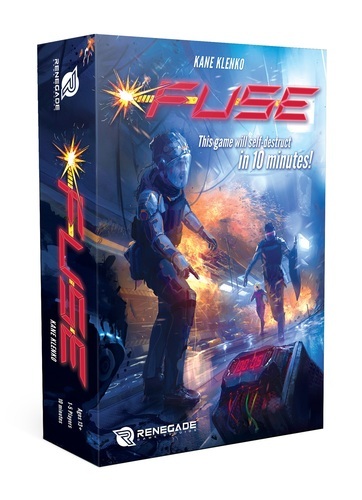 Fuse is a real-time co-operative game that employs 25 dice and 65 cards. Each game is set to a 10-minute timer, and players must work together in that 10 minutes to defuse all of the bombs. Each bomb is represented by a card which needs a certain combination of dice in order to defuse it. A player will draw a number of dice equal to the number of players out of a bag and roll them. 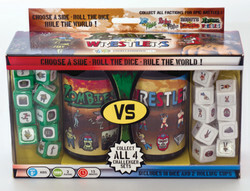 Players must then decide who will get which dice, but each player must take one and only one.